Build personal growth into the schedule. My co-founders and I are big proponents of continuous learning so we’ve built that into our culture. We have a technical and non-technical book club; we hold workshops on specific topics (for example, SQL lessons); and we provide a learning budget for people to attend conferences, take courses, buy books, etc. This helps keep our team motivated and engaged since they’re able to develop skills that they’re either passionate about and/or that help them bring a new perspective or skill to the team. 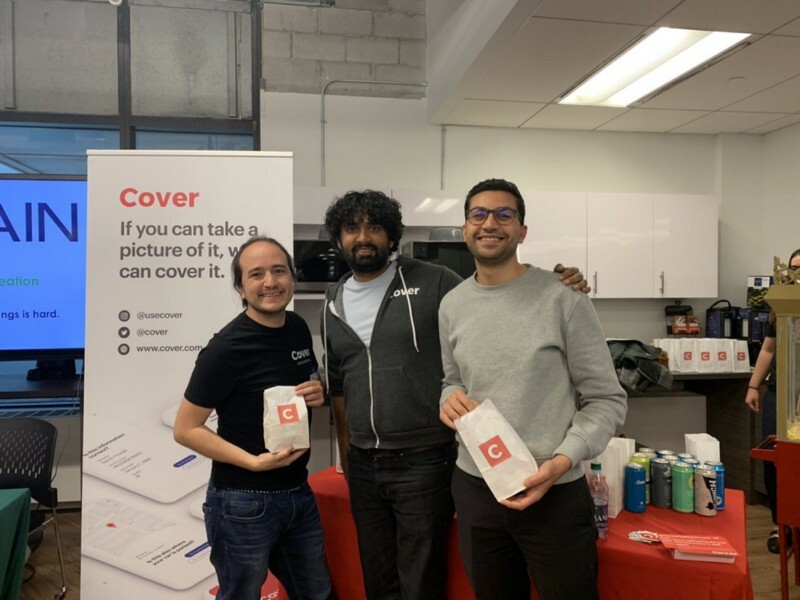 As a part of my series about about how leaders can create a “fantastic work culture”, I had the pleasure of interviewingthe co-founder and CTO of Cover, Anand Dhillon. 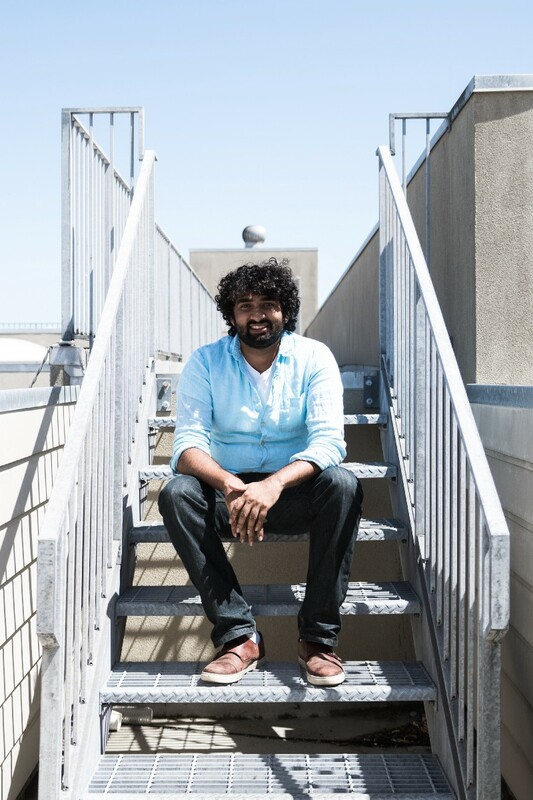 Anand is responsible for technical development and strategy at Cover. Prior to Cover, he was the CTO of the fashion app, Stylekick. Anand is a full-stack developer and software engineer proficient in Java, Ruby, Python, C++, all front-end languages and Ruby on Rails. He holds a Bachelor of Applied Science from the University of Toronto where he graduated with high distinction. He is also a Y Combinator Fellow and Alumnus. Thanks for having me! So, I started my career in product marketing and engineering was more of a hobby. When I’d get home from my day job, I’d work on my side hustle: a company called Wisdom Health Coaching. It was basically a platform for personal training and nutrition tracking. Before smartphones were really taking off, I built something that created custom web pages for clients to track their meal intake. When the side job became more interesting and I was making enough money to quit the marketing job, I did. Eventually, Karn Saroya (Co-Founder & CEO of Cover) and I began working on the initial version of Stylekick. It was very exciting — we learned everything from scratch. From that point, I decided entrepreneurship was the right path for me. I immediately loved the problem-solving element and the fact that we had to learn so quickly. One of the most memorable experiences was one particular investor meeting. He suggested a feature for the app — it was some easy idea — and I started working on it while we were still in the meeting. Two hours later, I sent him an email saying that I liked the idea and had implemented it already. That was fun, and he was pretty impressed. It proved our work ethic and showed the investor that we appreciate constructive feedback so it was ultimately a good move. At the moment, we operate like an insurance brokerage. Our app helps people find the best coverage from over 30 insurance carriers. What we’re excited about moving forward is the creation of our own insurance product from scratch, so we’ll be offering our own policies as well. To do this, we’re building all the tech in-house to help create a platform that’s both more efficient to run and effortless for our customers to use. Refining a quote for a customer can take between 20–30 minutes right now, but with our new system it should never take more than 2–3 minutes. This will hopefully reduce a lot of friction in the process and making shopping for insurance even easier for our users. I’d guess that it’s one of the following reasons: they’re stuck in a monotonous routine; they don’t feel like their job has real impact; or they don’t have autonomy or control over their day-to-day. When it gets to the point where people are just showing up and doing exactly what’s asked of them without much input, they tend to clock out mentally. One of the biggest motivators is the opportunity for growth in any given role so without a path to growth, people are more likely to be unhappy at work. Because of that, we’ve made it a priority at Cover to have a professional development budget. It gives people the opportunity to spend money on courses, books or conferences that they might not otherwise. I also run a technical book club for the engineering team and hold office hours every week to encourage learning. I think giving people room to focus on the things they’re genuinely interested in is a great way of maintaining a high morale on the team. As CTO and co-founder at Cover, making sure our team is happy and fulfilled is definitely one of my priorities so I’ve thought about this quite a lot. If people are unhappy, they’re more likely to be unproductive. At that point, employees are unlikely to be invested in their work beyond the bare minimum — they just want to avoid getting fired. In terms of profitability, I think that goes hand-in-hand with the negative impact on productivity. It’s hard to answer because each company is so different, but in the tech startup world you need good people doing solid work. If they’re checked out and doing the minimum, you’re not going to get the results you need to get funding and grow at the speed investors require. When it comes to health and wellbeing, being unhappy at work can lead to a lot of stress and apathy. So much of our time is spent at work, so if people are unfulfilled, it can have detrimental impacts on their mental health. I strongly believe that you can keep morale up by providing useful, actionable feedback and not just during performance reviews, but more often. If you only give feedback occasionally, positive or negative, it’ll be more jarring for your employees. I’ve found that it’s best to slant towards the positive (about 70–80%) but remind yourself that if there’s never any negative, your team can’t improve. I try to practice this in two ways: 1) by holding weekly one-on-ones with each member of my team and 2) by scheduling nearly constant code reviews which allows me to give feedback before any new code is merged. I also make an effort to consistently acknowledge work that is particularly clever or interesting. As a leader, it’s your job to keep people motivated. As an engineer, there are many projects your employees may be working on for months at a time so it’s important to explain to value day-to-day and week-by-week. This can help keep morale up despite periods of time where it feels like there’s little progress being made. At Cover, we try to do this in multiple ways including OKR meetings, weekly town hall (where we announce big wins for each team) and bi-weekly sprints for engineering (where we choose the top two or three goals for the coming weeks out of ~40 overall tasks). Focus on a positive onboarding experience. Starting a new job isn’t easy so we’re always looking for ways to make the transition smoother. One way we do this is by prioritizing team bonding in the first couple weeks. This may include team lunches, scheduled coffee chats, or an organized group activity (like going to a sports game or karaoke). We’ve found these parts of the onboarding process to have really positive effects on building cohesiveness and comfortability within teams. Maintain a high standard for hiring. In a general sense, we look for people who are smart, hard-working and nice. Those are the three biggest things I look for in an interview. In our experience, smart people like working with other smart people. Learning from one another creates a much higher net benefit. Sometimes, looking for these three traits means that we take longer to hire than is necessarily nice or comfortable, but the alternative is someone who isn’t a culture fit. Build personal growth into the schedule. My co-founders and I are big proponents of continuous learning so we’ve built that into our culture. We have a technical and non-technical book club; we hold workshops on specific topics (for example, SQL lessons); and we provide a learning budget for people to attend conferences, take courses, buy books, etc. This helps keep our team motivated and engaged since they’re able to develop skills that they’re either passionate about and/or that help them bring a new perspective or skill to the team. It’s very nice to suggest ideas, but it seems like we have to “change the culture regarding work culture”. What can we do as a society to make a broader change in the US work culture? There are always ways to get things done in less time. Personally, I sit in tons of meetings throughout the day so I’ve determined that my most focused work has to happen first thing in the morning or last thing in the evening. I’ll specifically block off chunks of my calendar for specific things to focus on in that time and I do my best to avoid deviating to other tasks. I think my leadership style is based on trusting my team; I know that they’re smart so I’m comfortable delegating and letting them do what they do best. I don’t like to micro-manage, but I always emphasize that I’m willing to jump in at any time and help. I think it’s important for people to feel ownership of their work and have direct control over what they’re creating. By encouraging my team to ask for help, it makes them easier to do so when the time comes whether it’s a quick Slack message or during my open office hours. The second part of my management style is prioritizing feedback, and giving it constantly. If you make a habit of giving both positive and constructive feedback, your team is better equipped to deliver great outcomes. I like to set pretty strict goals, but I’m pretty lax on how we get there; again, I like to leave the process to the individual and I trust them to get things done efficiently. As an engineer myself, it was an adjustment to realize that not everyone works the same way I do but I’ve definitely gotten better at recognizing that over time and adjusting my expectations accordingly. Probably my dad. His work ethic is something I always admired. He’s in his late 60s now and he still works on Saturdays as a real estate lawyer. Despite how hard my dad worked every day, he was always home for dinner. He has a rule that he doesn’t work past 7 pm. Yes, he’ll go in on a Saturday, but he’ll never compromise his family. He set a great example for me, and being reminded of how hard he worked always pushed me to do the same. I’m very grateful for my experiences thus far and I’ve really just tried to share my learning through mentoring younger people, typically high-school or university students. I’m very invested in giving them actionable advice, helping them get their first jobs or internships, and setting them up for future success. My favourite quote is probably, “Take care of yourself first so you have something to give.” If you’re constantly stressed, angry or irritable — in your personal or work life–you’ll get set off easily. This quote always reminds me to practice self-care by eating well, meditating, going to the gym. I put time and effort into taking care of myself so that I can bring more value to my personal and work relationships.